He was the presenter of the blues shows on onda cero, Kiss and later Central. He was a columnist on the internet news Blues Bites. A very well respected DJ in radio circles his shows went out over the internet to most countries across the globe. He helped a lot of aspiring blues players supplying old blues tracks and an unimaginable amount of knowledge on songs and artists I’ve ever seen. A lovely guy dedicated to good music. He will be remembered for many years to come. This CD we have made available for free download, is his own choice of tracks to be played at his funeral service. I thought I would be nice for his fans to have a keepsake and tribute to this unparalleled officinardo to the blues. R I P Terry Clear. 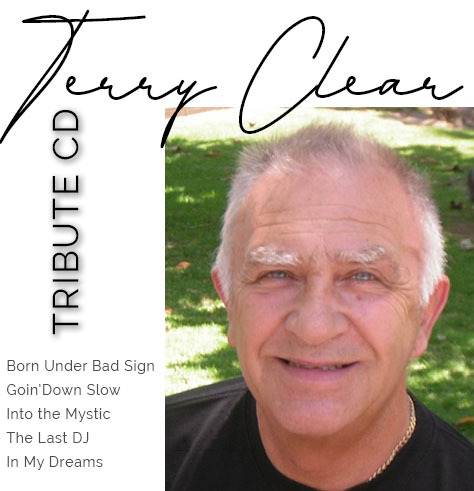 Terry Clear was the presenter of the blues shows on onda cero, Kiss and later Central. He was a columnist on the internet news Blues Bites. A very well respected DJ in radio circles his shows went out over the internet to most countries across the globe. He helped a lot of aspiring blues players supplying old blues tracks and an unimaginable amount of knowledge on songs and artists I’ve ever seen. A lovely guy dedicated to good music. He will be remembered for many years to come.